Green grass. Green leaves. Shamrock Shakes. You know, all things spring. 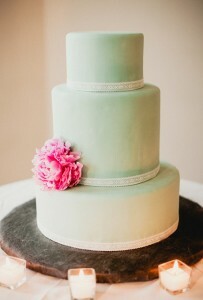 So today’s lovely light green wedding cake is the perfect way to get into the springtime state of mind. 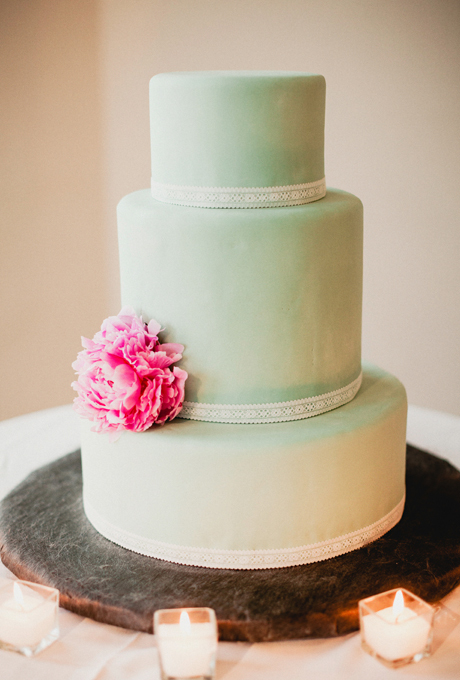 I love the simplicity of this cake. Three tiers. Smooth mint green icing. Elegant lace. And one bright pink bloom. It’s pretty much cake perfection. This cake would be ideal at your spring wedding. It’s pretty and elegant and perfect for a new season. You can find this cake here. It was created by Maritime Parc.